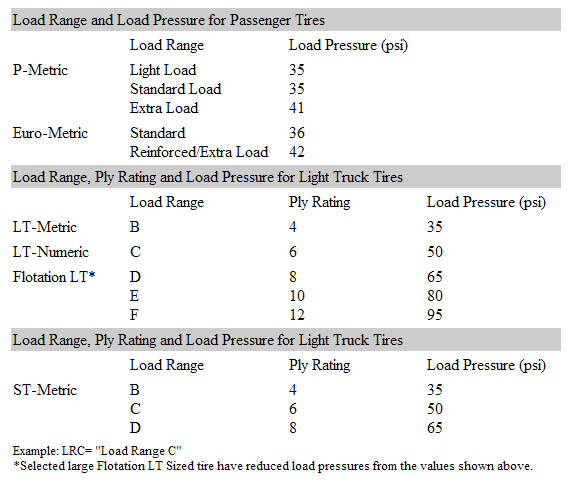 Before load ranges were embraced, ply ratings were used to identify the strength of light truck tires with higher numerical values assigned to tires featuring heavier duty constructions. Modern load range/ply ratings do not count the number of ply layers inside the tire. In fact, they indicate an equivalent strength based on early bias ply tires. Light truck tires, even those with heavy duty ratings (10-14 ply rated), actually have two or three fabric body plies, or one steel ply while many radial passenger tires have one or two body plies.